in Music, followed by an MA in Postproduction with specialisation in Sound Design at the University of York (UK). After graduating from her Masters course, she pursued a PhD on the topic of acoustics and medieval drama. In 2014 she joined the CoDE Research Institute (Anglia Ruskin University, Cambridge, UK) as a Senior Research Fellow. In 2016 she moved back to York to start a position as Lecturer in Sound Production and Post Production at the Department of Theatre, Film and Television. 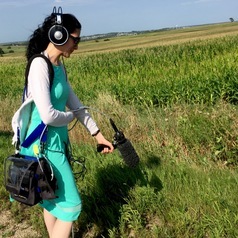 Mariana is currently the Programme Director for the Masters in Sound Design and is the Vice-chair of the UK section of the AES. She is active in the field of sound design, having worked on a number of short films, theatre productions and sound installations.